Being a mom today is much different than it was for my mom, or her mom (or, so I've been told). 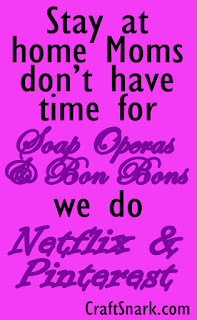 While I was promised a life of Soap Operas and Bon Bons, I have yet to find a Soap that can truly capture my attention. And logging Bon Bons into my Fitbit app feels counterproductive. I'm a busy woman. Not only do I do the dishes, the laundry, the groceries, and tidy up the house (and yard! ), but I also have blogging to catch up on. I need to share perfectly styled photos on Instagram before the kids come in from playing outside. My day isn't complete until I've hopped onto Facebook to comment on my friends' status updates, while sharing how perfectly my life comes together. Then tossing a frozen pizza in the oven for dinner. Life is rough. We have it nothing like our moms, or their moms. Welcome to 2015. 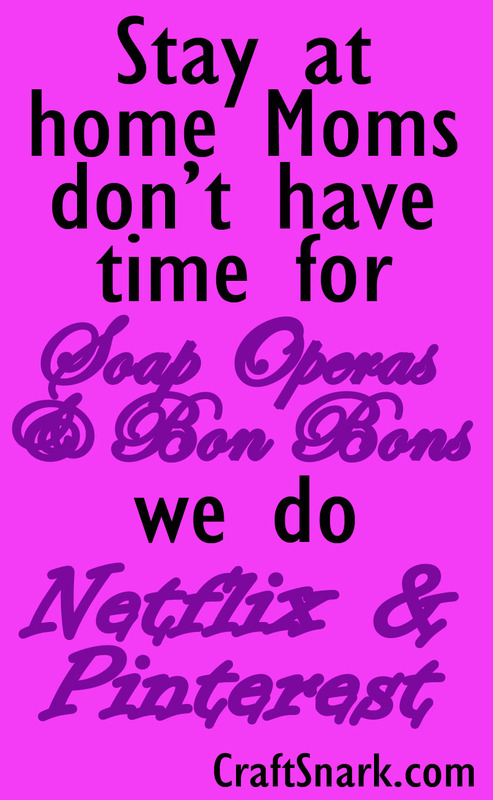 Stay at Home Moms don't ahve time for Soap Operas and Bon Bons. We do Netflix and Pinterest.